The FINANCIAL -- Lack of information and experience remains the main factor that forces over 40% of Georgian exporters to focus mostly on CIS markets rather than the EU. Meanwhile, the success story of Georgian nuts, kiwifruit and blueberries proves that the European market is open to Georgians producing high quality goods. However, the terrorist attacks in Brussels, as well as the pre-election period in Georgia that is already showing the emergence of cabals, makes it hard to predict whether trade and investment relations between the EU and Georgia will grow in 2016. Providing a stable environment during pre-election processes is the key task of Georgian officials to secure business development and more. “The Government should try hard to provide a stable environment for businesses. Harmonizing legislation with the EU and voicing that they are supporting businesses is not sufficient. Each of these confusing processes that have recently taken place in Georgia, like the distribution of secret video records, reflecting private life, impact on the business environment. Attracting foreign investors is no simple job. And the fact that a government cannot calm the situation and bring peace within its country is really a negative message to foreign investors,” Zviad Chumburidze, Secretary General of the EU-Georgia Business Council, told The FINANCIAL. “The election period should not destroy the business environment. During political cataclysms businessmen lose the aspiration to develop. Business is not a separated part of the community; it is one of its links,” Chumburidze added. The EU-Georgia Business Council (EUGBC) is a non-profit association founded by Georgian and European companies in Brussels in 2006. Since September 2013, EUGBC also operates a representative office in Tbilisi. The objective of the EUGBC is to encourage investment and trade between the European Union and Georgia. The Council assists and advises its members on all questions relating to setting up and doing business in Georgia and the EU, through building business links, solving market access difficulties, and overcoming regulatory obstacles. “Our entrepreneurs, especially in the regions, have poor information regarding the DCFTA with the EU. Accordingly, we are providing the information via various seminars and conferences. The council has a special group of experts who are directly involved in explaining the terms of the DCFTA to our business society,” Chumburidze said. In his exclusive interview with The FINANCIAL, the Secretary General talked about the main obstacles that are hampering an increase of export from Georgia to the EU. Chumburidze voiced the main concerns of businesses operating in Georgia. Q. Last week the EU commissioner for Trade Cecilia Malmströmmet, along with EUGBC members, met with the PM Giorgi Kvirikashvili. More than 70 Georgian and European companies’ representatives attended the meeting. What are the main obstacles for Georgian businesses currently that are preventing them from getting the maximum benefits from the DCFTA? A. There were two main directions that were outlined during the meeting. The first is that the AA and DCFTA have the exact dates and terms that the Georgian side is obliged to meet in various directions. Accordingly, the main concern of businesses was not to accept the obligations hastily. All the standards that are required from Europe are not easy to fulfil for Georgian companies. This is a really hard process. This is where we, the Council, see our main goal - to support businesses in accomplishing the required processes fully. Another important issue that we discussed with the EU Commissioner was the visa liberalization process. We asked the EU Commissioner to deliver a message regarding the importance of free trade together with visa liberalization. We think that if a product can cross borders freely, such permission should also be given to humans, the businessmen that produce it. We appreciated Malmström’s response that she fully agrees with our position. Other important issues like support from the EU, their expectations and other topics were discussed by the sides. Overall, the meeting was really successful. I highlighted the importance of such meetings and offered to the Commissioner we hold them at least annually. Q. As you also mentioned, access to the EU requires large processes. Fulfilling their standards is not easy for Georgian entrepreneurs. Do you see the willpower among Georgian businesses to undergo this transformation period and finally establish themselves on EU markets? A. There is a part of the business community, maybe 30-40%, especially in the regions, that remain more prone to prefer the CIS markets. Meanwhile the successful and big companies are trying hard to establish themselves and position themselves on the EU markets. We have 50 member companies and we can say that all of them have a pro-EU vision. None of them exclude the possibility of cooperation and trade with the CIS states. Actually, trade and economic relations have no borders and market diversification is very important. However, due to the fact that Russia has proved that it is an unstable partner for businesses, the majority of the Georgian business community remains more focused on EU markets. Everyone has seen that trusting Russia as an economic or political partner is impossible. I can name two Georgian companies that have succeeded on European markets. One of them is Nergeta, producer of kiwifruit. The company exports all of its products to Germany. The company is supplying the Lidl supermarket chain and its Georgian product is very popular there. Another Georgian company is Vanrik Agro Group that produces and exports blueberries to EU markets, as well as to the U.S. So, if these two companies managed to enter the EU markets and find stable partners there, it means that it is manageable. Lack of experience of trade with western markets is the main factor that scares local producers and makes them prone to choose traditional trade partners. 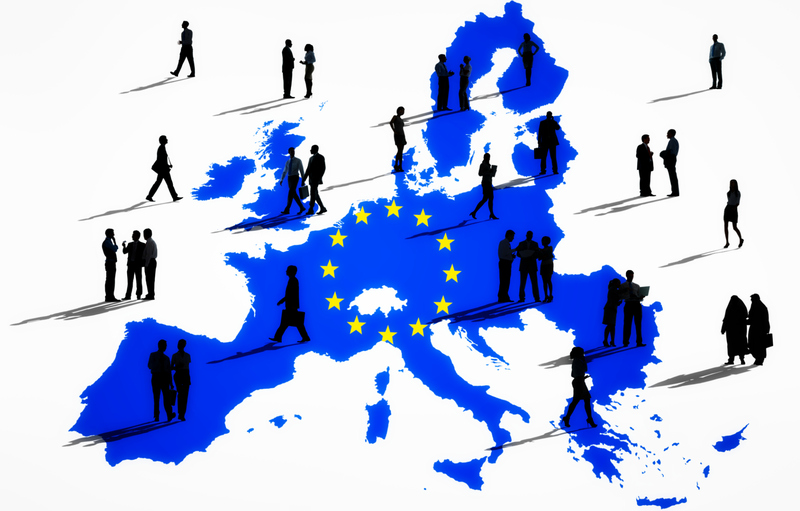 However, all companies that have a long-term prospect of development try to link their business to EU countries. The EU is one of the most secure and stable markets for Georgian entrepreneurs. We have seen from our own and also other countries’ examples that the Russian market depends on the political will of its officials. There is always a risk that this market could become closed in a day. This has never happened with the EU markets. Q. If the Russian embargo had never been lifted for Georgia in 2013, would we be better prepared for entrance to EU markets? A. I would not say that local entrepreneurs would be better prepared for EU markets if the Russian market had not re-opened in 2013. However, the fact is that the Russian embargo which started in 2006 encouraged Georgian businesses to focus on the quality of their goods and look for stable partners in the West. We have had lots of cases of exporters seeing great loss of money in Russian markets when their products have not been compensated. This is impossible in Europe. In general, re-opening the Russian market was not bad. Stating limits is not good for businesses. Meanwhile, they now have a better impression of whether or not to trust this market. This is also a process and it will take time. Realising from one’s own experience and making proper conclusions would be very good. Q. Georgian nuts, which are in fair demand on western markets, are a good example that there is a niche for Georgian goods on western markets. What are your main suggestions for businesses that plan to enter EU markets? A. Georgian nuts are of the best quality. This is the key factor that has determined their popularity. Any market is saturated with products but there is always a free niche for a good of high quality. It is the same with kiwifruit. In Zugdidi, Western Georgia, the land and climate are the best for growing kiwifruit. When German experts did a laboratory analysis of Georgian kiwifruit they proved that they are 3 points better than Italian kiwifruit. So finding a partner is not difficult if you are offering a product of high quality with qualified logistics. In general, the Georgian climate and land provides good opportunities to grow bio products of high quality. However, they require proper packaging and supplying to purchasers. Before trying one’s forces on the export markets there is a big niche on the local market. So, entrepreneurs can start and develop a business by supplying local markets, as even in agricultural products Georgia remains dependent on imported goods. We cannot name any high quality that cannot be purchased on the local market. Q. There is a big imbalance in the export of Georgian products to various EU countries. For example, out of the total export, worth USD 646.5 million in 2015, USD 214.2 million was made up by Bulgaria and USD 10 million by Greece. What are the reasons for that? A. It is a natural process that Georgian businesses might have stronger links with the representatives of one EU country than another. Business connections are based on traditional partnership. I remember during 2008 citizens of the Baltic States started purchasing Georgian products out of solidarity. Q. What are your expectations regarding trade and FDI from Europe to Georgia in 2016? A. Increase of export to EU markets or FDI from these countries will depend not only on the conditions developed in Georgia but also on the processes in Europe. The terrorist attack that took place in Brussels recently will have its impact on the development, economic and political processes in Europe. We see businessmen motivated to develop their businesses. However, it is not sufficient. External issues should also support their efforts. The important factor is that we are having an election year. The Government should try hard to provide a stable environment for businesses. Harmonizing legislation with the EU and voicing that they are supporting businesses is not sufficient. Each of these confusing processes that have recently taken place in Georgia, like the distribution of secret video records, reflecting private life, impacts on the business environment. Attracting foreign investors is no simple job. And the fact that a government cannot calm the situation and bring peace within its country is a really negative message to foreign investors. I do see a will from the PM to develop the processes in the country. Meanwhile, one person alone cannot change anything. He should have a proper team, innovative people that will be individually working on developing their field. As an example I can name the Batumi-Tbilisi autobahn that still remains under construction. If this project would have been completed it would be a good message for companies that are involved in transit shipping. Q. So, we have a problem with qualified staff? A. Decisions cannot be taken by a person who does not know which decision to take. The state might not have bright candidates in each position but there are fields where having qualified and strong staff is crucial. Infrastructure is doubtlessly the core for every country. We do receive financial aid, as well as long-term loans with low interest rates from different financial institutions. Meanwhile, there are things like road infrastructure that should be made by us, not by Germans or the French. I can recall the example of Croatia, where I worked as an ambassador. This country that had been ruined by war managed to develop infrastructure to such a high level that today it might be better than in Switzerland. Each government body can make a change for the better in our country but they should be highly motivated to do it. Q. The work of which body would you estimate to be the most successful? A. From a theoretical point of view it was the Ministry of Foreign Affairs of Georgia. Georgia has been moving toward the AA with the EU almost since gaining its independence in the ‘90s. It was the only state body that was strongly motivated during all of this period to receive an AA. This direction has not changed recently either. Further achievements will also be the merit of this body. Of course, it would not be achieved without a strong will of the population but the MFA played a big role in fulfilling this desire. This Ministry is filled with western-oriented staff and it needs to be protected. Frequent change of ministers has a negative impact on it and creates a sense of instability, also for the business environment. During the past twelve years we have had 10 ministers of foreign affairs. This is impossible. There are three-four year terms that need to be met. Q. On the one hand you just talked about less competent ministers and on the other hand you said that a frequent change of them creates instability. What is the best solution to this issue? A. The best option is selecting proper candidates from the beginning. We have been making this mistake for 25 years. The Government that comes into power should seriously think about its human resources. Q. Tell us from the example of your members, what are the main concerns of businesses in Georgia? A. Any draft law initiated by the Government should be discussed with the business community. We can recall the case of the company Natakhtari. Implementation of new excise for beer companies had a negative impact on the company and also on the country’s budget. The Georgian economy has several fields of business developed. So, communicating with their representatives and allowing them to voice their viewpoint should not be difficult. The Government should take care of businesses.